Detritus, the new official journal of IWWG – International Waste Working Group for waste resources and residues has launched a call for a focused thematic issue on “Management of Healthcare Waste” in association with CRETE 2018 International Conference. 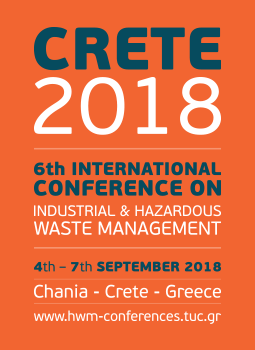 Authors wishing to submit a paper on this topic to the Journal might also be interested in concomitantly submitting their paper to Crete 2018 – 6th International conference on Industrial and Hazardous Waste, to be held from 4th to 7th September in Chania, Crete, Greece. Please note that the deadline for paper submission is 31st May 2018.